Eggplant(Brinjal)/onions cooked in a tangy tamarind gravy spiced with both red and green chillies, goes well with Ven Pongal or even dosas / Idlis. 1. 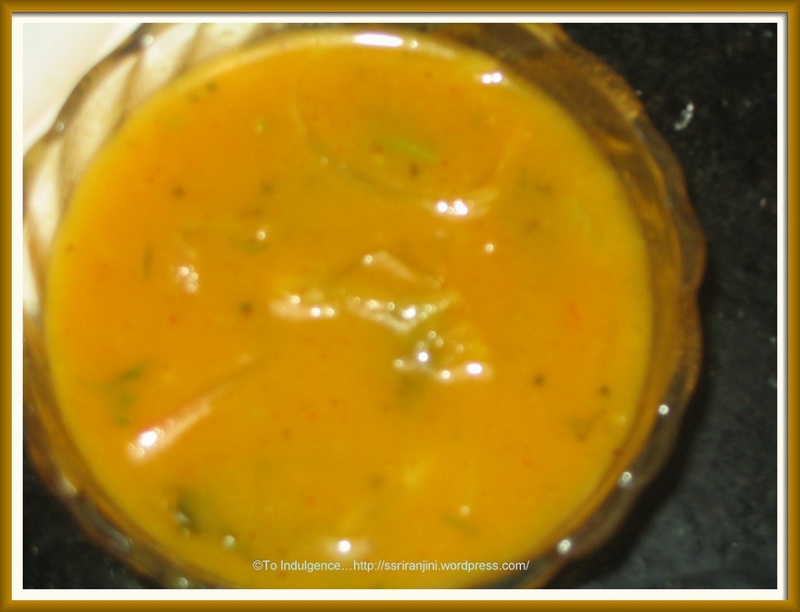 Heat the oil in a deep pan; add mustard seeds, dry red chillies, and asafoetida. When the seeds start spluttering, add curry leaves, green chillies and onions. 2. Add the tamarind extract and salt. Reduce the heat and bring the mixture to boil till the raw smell of tamarind disappears and onion is cooked. 3. Dry roast the fenugreek seeds; remove and powder. 4. Add the fenugreek powder, and if required some water to make up quantity(this should make half a litre). Add the rice flour paste and boil for 2 min. 4. 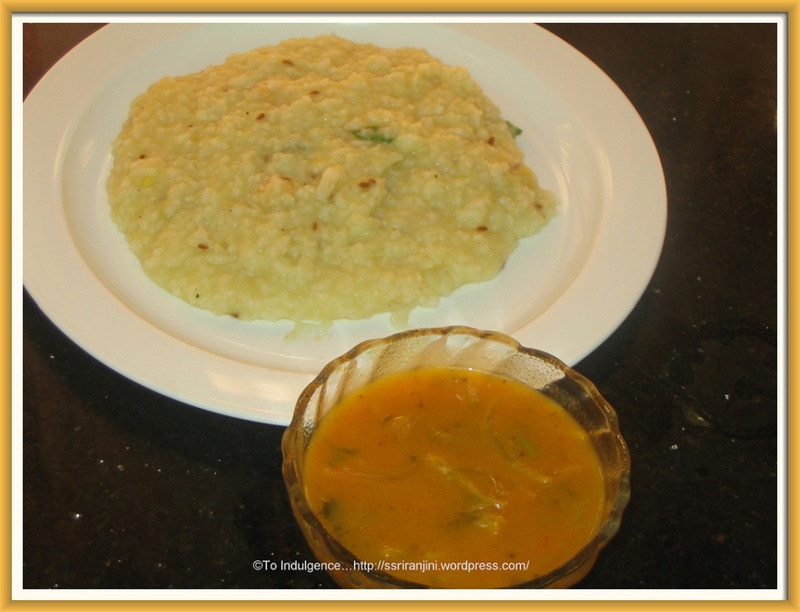 Serve hot with Ven Pongal/Idlis/Dosai.